When the domino effect occurs it can whiten out everything. 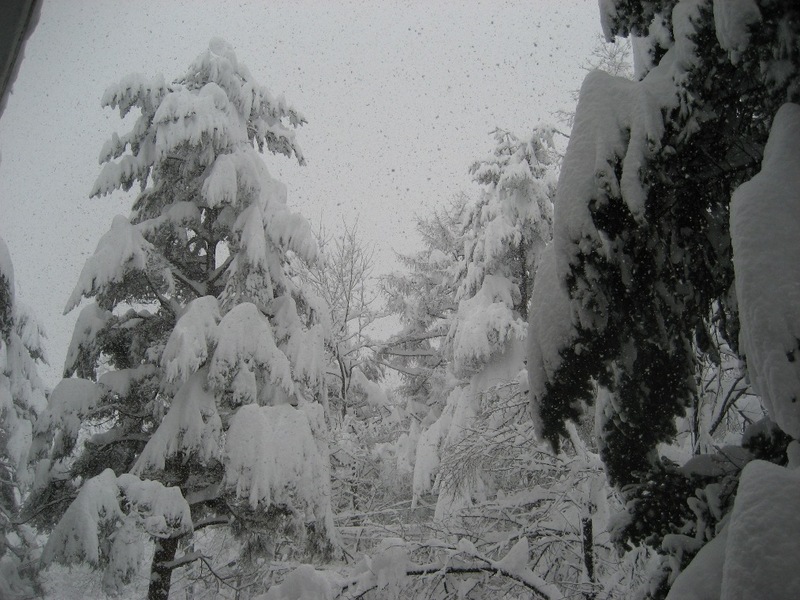 The trees in Hakuba can become so loaded with snow that they actually become a hazard. When the top falls it cascades down knocking the snow from the branches which in turn will hit the next tree like a domino effect with the whole load eventually landing on the ground and creating a white out. It’s always a bit of fun to knock a low branch when one of your friends is walking under it. A good reason to wear a hood if you don’t trust someone. This entry was posted in Hakuba, snow and tagged Hakuba, ski japan, snow on trees, snowjapan, trees loaded with snow, White Horse Hotel. Bookmark the permalink.